It is with great sadness that we announce the passing of our Dad Cecil Geekie. 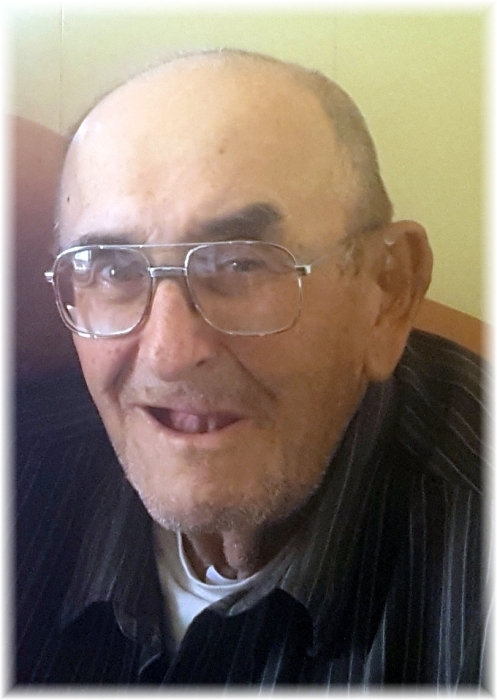 He passed away peacefully, due to health complications, with his family by his side on Thursday, January 24, 2019 at the Dauphin Regional Health Centre at the age of 84 years. Dad was born on February 6, 1934 at Winnipegosis, Mb. to Edna Lillian (nee Chartrand) and James Patrick Geekie. He was the middle child of 7 siblings. He had 3 sisters and 3 brothers. He grew up in the Winnipegosis district area helping with the family farm and attended the Campbellton School receiving a Grade 8 Education. On November 6, 1956 Dad married his beloved wife Florence Campbell. After their marriage they resided in Winnipegosis and he worked for Henry Dyck cutting logs across the lake. They enjoyed 19 years of marriage and between the two of them they were blessed with 6 children. On his marriage to Florence he gained a daughter Bev. Their first son Roy Cecil passed away as an infant. In the fall of 1957 Dad moved his family to Churchill, Mb. He worked for Northern Affairs restoring the Fort Prince of Wales. Then he worked on the Army Base operating heavy equipment. Dad then worked for the Department of Public Works. He also was local dog catcher and drove the ambulance. During their stay in Churchill they were blessed with 4 children: Fred, Elaine, Freda, and Sheila. In 1968 Dad moved his family to Winnipegosis to the Campbellton District and took charge of the family farm. As well as running the farm he cut, hauled and delivered wood. At times he drove taxi. On the farm Dad was able to pursue his love of working with horses and he began his hobby of attending horse pulls in 1984. He was well known throughout the world of horse pulls for his teammanship and excellent handling of horses. Dad spent many years travelling with his teams and attending horse pulls throughout Manitoba, Saskatchewan and even into the States. Dad's success with his horses gave him pride in records that he holds today. Dad suffered the loss of his wife Florence in 1976. Later he met Alma Moreau who became his partner of 40 years. They had the joy of having 2 sons, Tony and Ted. He continued to run the family farm and in later years had the help of his 3 sons to keep things going. In 2014 due to an unfortunate family illness Dad found it necessary to move off the farm to a wheelchair friendly location. In 2016 circumstances left Dad alone with the care of Tony. With Ted's help Dad was able to live there until the summer of 2018 at which time he moved to the Parkview Lodge in Dauphin. He resided there up to the time of his passing. Dad is survived by his partner Alma Moreau, Dauphin Mb. ; step-daughter Bev (Ken) Dyrkacz, The Pas, Mb. ; son Fred, Sifton, Mb. ; daughter Elaine (Anthony) Nepinak, Fork River, Mb. ; daughter Freda (Paul) Sutherland, Camperville,Mb. ; daughter Sheila (Simpson Kakakaway) Fagnan, Whitebear, Sask. ; son Tony, Brandon, Mb. ; son Ted (Shauna Farand), Brandon, Mb. 15 Grandchildren: MaryAnn, Amber (Charles), Dion (Rochelle), Ryan, Chrissy, Harley (Kerri), Tegan (Jennifer), KateLyn (Brent), Jared (Desiree), BrodieLyn, Jamie (Jenny), Clayton (Debbie), Felicia (Rod), Daniel (Chantel), Brandi (Jordan). 33 great grandchildren. Siblings: Elizbeth (Tom-deceased) Dyrkacz, Grace (Fred-deceased) Lacey, Peter (Pixie) Geekie, Helen (Gordon) Couch, Fred (Alice) Geekie. He is survived by numerous nieces and nephews. Dad was predeceased by his parents James and Edna Geekie; beloved wife Florence; father and mother-in-law Albert and MarieAnge Campbell; son Roy Cecil Geekie; grandson Wayne Joseph Fagnan; brother Stewart; Alma's grandma Florence Moreau. Prayers were offered on Friday, February 1, 2019 at 7:00 pm from Sneath-Strilchuk Family Care Centre in Dauphin, MB. Funeral Mass was held on Saturday, February 2, 2019 at 2:00 pm from St. Viator's Roman Catholic Church in Dauphin, MB with Father John Legitimas officiating. Interment will follow in the Winnipegosis & District Cemetery in Winnipegosis, MB at a later date..
Should friends so desire, donations in memory of Cecil may be made to Cancer Care Manitoba or Heart and Stroke Foundation.